A commission briefing document says the most important issue is the level of evidence it will require to judge whether a provider of complementary therapy dispenses services of benefit to public health, thereby qualifying legally for charitable status. The document says that at present, suitable evidence includes peer-reviewed research in recognised medical journals such as The Lancet or the BMJ, or recognition by the Department of Health or other government regulatory bodies. Personal testimonies and anecdotal evidence are not sufficient to demonstrate efficacy, says the commission, and nor are non-scientific articles and features promoting methods, treatments or therapies. However, organisations such as the Good Thinking Society have presented evidence that these standards are not being applied rigorously, meaning some organisations may have been granted charitable status without the necessary evidence that their therapies are of benefit to public health. The commission is reassessing how its existing guidelines are enforced. It is also seeking guidance on how to deal with conflicting or inconsistent evidence, or evidence that certain therapies might cause harm – by displacing conventional therapies, for example. Complementary providers argue that it’s unfair to be judged purely on evidence in mainstream medical journals, as demanded by the Good Thinking Society. “We know there’s a well-being factor with some complementary medicines which could be palliative, or a placebo effect,” says Jayney Goddard, director of The Complementary Medical Association. “These include massage or meditation, for example, which have tremendously supportive effects, but if the evidence isn’t forthcoming, it means those charities currently offering them might not be able to in future.” If the consultation does ultimately result in revocation of charitable status for some providers, Goddard argues that this would make it harder for them to raise donations and benefit from tax breaks that make their services more affordable. The argument of Jayney Goddard borders on the ridiculous, of course. If treatment X improves well-being beyond placebo and generates more good than harm, it is clearly effective and the above debate does not even apply. But it obviously does not suffice to claim that treatment X improves well-being, it is mandatory to demonstrate it with sound evidence. If, on the other hand, treatment X has not been shown to be effective beyond placebo, it must be categorised as unproven or bogus. And promoting bogus treatments/ideas/concepts (including diverting patients from evidence-based treatments and undermining rational thought in our society at large) is unquestionably harmful both to individual patients and to society as a whole. SCAM charities are thus dangerous, unethical and an obstacle to progress. They not only should lose their charitable privileges as a matter of urgency, but they should also be fined for endangering public health. Homeopaths seem prone to getting a few things badly wrong (evidently, if not they would not be homeopaths!). Gonorrhoea is not a viral condition as some of them seem to assume, for instance; it is caused by the bacterium Neisseria gonorrhoeae. But never mind, we should not be pedantic. Anyway, I wasn’t going to write about gonorrhoea (but I will come back to it at the end of this blog) nor its homeopathic treatment. 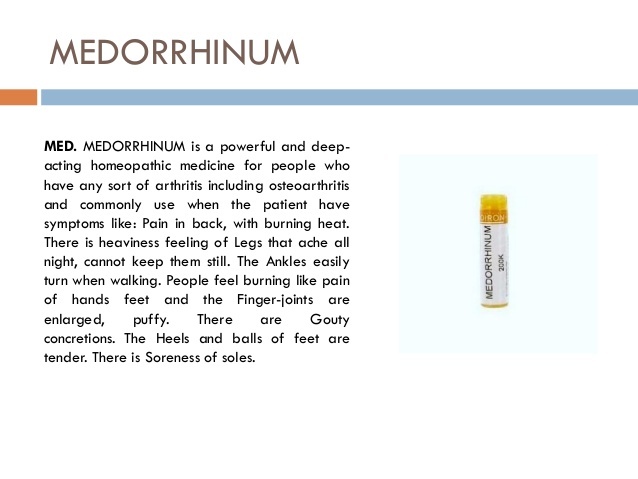 Today, I want to tell you a little bit about a specific homeopathic remedy with amazing qualities. 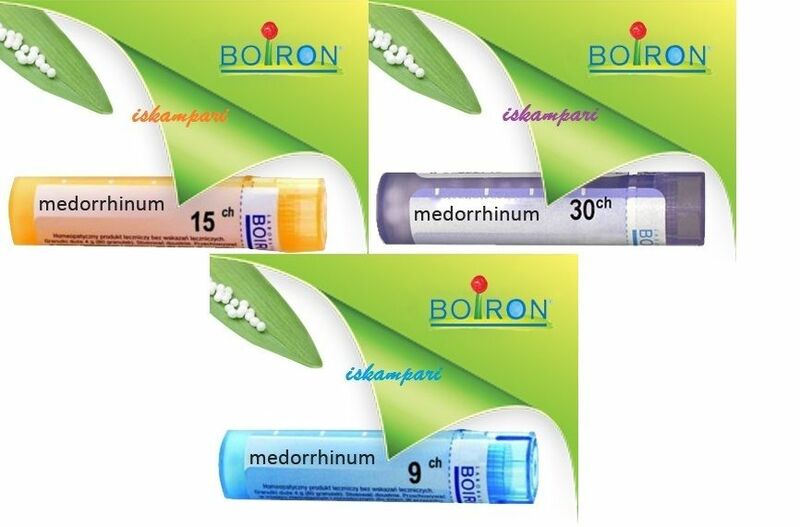 According to this website, Medorrhinum is a powerful and deep-acting medicine, often indicated for chronic ailments… For women with chronic pelvic disorders. Chronic Rheumatism. Great disturbance and irritability of nervous system. Pains intolerable, tensive; nerves quiver and tingle. Children dwarfed and stunted. Chronic catarrhal conditions in children. Nose dirty, tonsils enlarged, thick yellow mucus from nostrils; lips thickened from mouth breathing. State of collapse and Trembling all over. History of sycosis. Often restores a gonorrhoeal discharge. Intensity of all sensations. Oedema of limbs; dropsy of serous sacs. Disseminated sclerosis. Another website advocates Medorrhinum particularly for children: One of the many uses of this remedy is in the inherited complaints of children. The physician of long and active experience meets many obstinate cases in children. The infant soon emaciates and becomes marasmic, or a child becomes asthmatic, or suffers with vicious catarrh of nose or eyelids, or has ringworm on the scalp or face, or is dwarfed… This remedy will cure, or begin the recovery. Do I really need to mention that none of these claims are supported by evidence? I am sure that, by now, you are keen to learn what Medorrhinum is made from. It is prepared from the urethral discharge of a male patient suffering from gonorrhoea. For once, we can all consider ourselves lucky that homeopaths tend to dilute their remedies until all of the original substance has disappeared! A few days ago, the German TV ‘FACT’ broadcast a film (it is in German, the bit on homeopathy starts at ~min 20) about a young woman who had her breast cancer first operated but then decided to forfeit subsequent conventional treatments. Instead she chose homeopathy which she received from Dr Jens Wurster at the ‘Clinica Sta Croce‘ in Lucano/Switzerland. Elsewhere Dr Wurster stated this: Contrary to chemotherapy and radiation, we offer a therapy with homeopathy that supports the patient’s immune system. The basic approach of orthodox medicine is to consider the tumor as a local disease and to treat it aggressively, what leads to a weakening of the immune system. However, when analyzing all studies on cured cancer cases it becomes evident that the immune system is always the decisive factor. When the immune system is enabled to recognize tumor cells, it will also be able to combat them… When homeopathic treatment is successful in rebuilding the immune system and reestablishing the basic regulation of the organism then tumors can disappear again. I’ve treated more than 1000 cancer patients homeopathically and we could even cure or considerably ameliorate the quality of life for several years in some, advanced and metastasizing cases. The recent TV programme showed a doctor at this establishment confirming that homeopathy alone can cure cancer. Dr Wurster (who currently seems to be a star amongst European homeopaths) is seen lecturing at the 2017 World Congress of Homeopathic Physicians in Leipzig and stating that a ‘particularly rigorous study’ conducted by conventional scientists (the senior author is Harald Walach!, hardly a conventional scientist in my book) proved homeopathy to be effective for cancer. Specifically, he stated that this study showed that ‘homeopathy offers a great advantage in terms of quality of life even for patients suffering from advanced cancers’. Many cancer patients seek homeopathy as a complementary therapy. It has rarely been studied systematically, whether homeopathic care is of benefit for cancer patients. We conducted a prospective observational study with cancer patients in two differently treated cohorts: one cohort with patients under complementary homeopathic treatment (HG; n = 259), and one cohort with conventionally treated cancer patients (CG; n = 380). For a direct comparison, matched pairs with patients of the same tumour entity and comparable prognosis were to be formed. Main outcome parameter: change of quality of life (FACT-G, FACIT-Sp) after 3 months. Secondary outcome parameters: change of quality of life (FACT-G, FACIT-Sp) after a year, as well as impairment by fatigue (MFI) and by anxiety and depression (HADS). HG: FACT-G, or FACIT-Sp, respectively improved statistically significantly in the first three months, from 75.6 (SD 14.6) to 81.1 (SD 16.9), or from 32.1 (SD 8.2) to 34.9 (SD 8.32), respectively. After 12 months, a further increase to 84.1 (SD 15.5) or 35.2 (SD 8.6) was found. Fatigue (MFI) decreased; anxiety and depression (HADS) did not change. CG: FACT-G remained constant in the first three months: 75.3 (SD 17.3) at t0, and 76.6 (SD 16.6) at t1. After 12 months, there was a slight increase to 78.9 (SD 18.1). FACIT-Sp scores improved significantly from t0 (31.0 – SD 8.9) to t1 (32.1 – SD 8.9) and declined again after a year (31.6 – SD 9.4). For fatigue, anxiety, and depression, no relevant changes were found. 120 patients of HG and 206 patients of CG met our criteria for matched-pairs selection. Due to large differences between the two patient populations, however, only 11 matched pairs could be formed. This is not sufficient for a comparative study. In our prospective study, we observed an improvement of quality of life as well as a tendency of fatigue symptoms to decrease in cancer patients under complementary homeopathic treatment. It would take considerably larger samples to find matched pairs suitable for comparison in order to establish a definite causal relation between these effects and homeopathic treatment. The patients in this study received homeopathy in addition to standard care (the patient shown in the film only had homeopathy until it was too late, and she subsequently died, aged 33). The study compared A+B with B alone (A=homeopathy, B= standard care). It is hardly surprising that the additional attention of A leads to an improvement in quality of life. It is arguably even unethical to conduct a clinical trial to demonstrate such an obvious outcome. The authors of this paper caution that it is not possible to conclude that a causal relationship between homeopathy and the outcome exists. This is true not just because of the small sample size, but also because of the fact that the two groups had not been allocated randomly and therefore are bound to differ in a whole host of variables that have not or cannot be measured. Harald Walach, the senior author of this paper, held a position which was funded by Heel, Baden-Baden, one of Germany’s largest manufacturer of homeopathics. The H.W.& J.Hector Foundation, Germany, and the Samueli Institute, provided the funding for this study. In the film, one of the co-authors of this paper, the oncologist HH Bartsch from Freiburg, states that Dr Wurster’s interpretation of this study is ‘dishonest’. Former Miss New Hampshire, Rachel Petz Dowd, lost her battle with cancer on Sunday 12 June 2016 — a battle she fought publicly through personal writings in a blog in hopes of helping others on a similar journey toward healing. The singer/songwriter and mother of three from Auburn died about a month after traveling to Mexico for an aggressive form of alternative cancer treatment. She turned 47 last week. Dowd was diagnosed with stage 2 triple negative breast cancer in May 2014. The diagnosis led her to create a blog called “Rachel’s Healing” to document what she hoped would be a journey back to health. “I hope my readers can gain something from my journey and that they find their own personal way to combat this disease impacting too many women today,” she wrote. Dowd used the blog to share her experiences with traditional and natural medicine during her cancer fight. The hospital is across the US border in Mexico; it is run by medically qualified personnel. And here is what they say about three therapies as examples of treatments that have discussed before on this blog: vitamin C, Laetrile and Essiac. IV Vitamin C If large amounts of vitamin C are presented to cancer cells, large amounts will be absorbed. In these unusually large concentrations, the antioxidant vitamin C will start behaving as a pro-oxidant as it interacts with intracellular copper and iron. This chemical interaction produces small amounts of hydrogen peroxide. Because cancer cells are relatively low in an intracellular anti-oxidant enzyme called catalase, the high dose vitamin C induction of peroxide will continue to build up until it eventually lyses the cancer cell from the inside out! IV Vitamin B17 / Laetrile Also known as amygdaline, Vitamin B-17 is a molecule made up of four parts: -2 parts Glucose -1 part Benzaldahyde-1 part Hydrogen Cyanide. Laetrile is found in at least 1200 different plants, including apricots, peaches, apple seeds, lentils, cashews, brown rice, millet, and alfalfa. Commercial preparations of laetrile are obtained from the kernels of apricots, peaches and bitter almonds. The body requires an enzyme called beta-glucosidase in order to process laetrile and release the cyanide. Studies have shown that cancer cells contain more of this enzyme than normal cells, which allows for a higher release of cyanide at tumor sites. Another enzyme known as rhodanese is important in this process. Normal healthy cells contain rhodanese which protects them from the activated cyanide. Most cancer cells are deficient in this enzyme, leaving them vulnerable to the poison. Tumor destruction begins once the cyanide is released within the malignancies, meaning laetrile therapy is selectively toxic to cancer cells while remaining non-toxic to normal cells. Essiac Tea / Order Original Essiac Tea Essiac, given its name by Rene Caisse (“caisse” spelt backwards), consists of four main herbs that grow in the wilderness of Ontario, Canada. The original formula is believed to have its roots from the native Canadian Ojibway Indians. The four main herbs that make up Essiac are Burdock Root, Slippery Elm Inner Bark, Sheep Sorrel and Indian Rhubarb Root. Essiac tea helps release toxins that build up in fat and tissues into the blood stream where they can be filtered and excreted by the liver and kidneys. Cleaning the body of toxins and impurities frees up the immune system to focus on killing cancer cells and protecting the body. I think I will abstain from further comments, firstly because I want to avoid getting sued by these people and secondly because it seems all too depressingly obvious. Where is the line between meaningless and unethical research? This is a question which I have asked myself more often than I care to remember. The reason is probably that, in alternative medicine, I feel surrounded by so much dodgy research that I simply cannot avoid asking it. In particular, the co-called ‘pragmatic’ trials which are so much ‘en vogue’ at present are, in my view, a reason for concern. Take a study of cancer patients, for instance, where one group is randomized to get the usual treatments and care, while the experimental group receives the same and several alternative treatments in addition. These treatments are carefully selected to be agreeable and pleasant; each patient can choose the ones he/she likes best, always had wanted to try, or has heard many good things about. The outcome measure of our fictitious study would, of course, be some subjective parameter such as quality of life. In this set-up, the patients in our experimental group thus have high expectations, are delighted to get something extra, even more happy to get it for free, receive plenty of attention and lots of empathy, care, time, attention etc. By contrast, our poor patients in the control group would be a bit miffed to have drawn the ‘short straw’ and receive none of this. Will the quality of life after all this be equal in both groups? Will it be better in the miffed controls? Or will it be higher in those lucky ones who got all this extra pampering? I don’t think I need to answer these questions; the answers are too obvious and too trivial. But the real and relevant question is the following, I think: IS SUCH A TRIAL JUST SILLY AND MEANINGLESS OR IS IT UNETHICAL? I would argue the latter! Because the results of the study are clearly known before the first patient had even been recruited. This means that the trial was not necessary; the money, time and effort has been wasted. Crucially, patients have been misled into thinking that they give their time, co-operation, patience etc. because there is a question of sufficient importance to be answered. But, in truth, there is no question at all! The aim of this study was to evaluate the effectiveness of an additional, individualized, multi-component complementary medicine treatment offered to breast cancer patients at the Merano Hospital (South Tyrol) on health-related quality of life compared to patients receiving usual care only. A randomized pragmatic trial with two parallel arms was performed. Women with confirmed diagnoses of breast cancer were randomized (stratified by usual care treatment) to receive individualized complementary medicine (CM group) or usual care alone (usual care group). Both groups were allowed to use conventional treatment for breast cancer. Primary endpoint was the breast cancer-related quality of life FACT-B score at 6 months. For statistical analysis, we used analysis of covariance (with factors treatment, stratum, and baseline FACT-B score) and imputed missing FACT-B scores at 6 months with regression-based multiple imputation. A total of 275 patients were randomized between April 2011 and March 2012 to the CM group (n = 136, 56.3 ± 10.9 years of age) or the usual care group (n = 139, 56.0 ± 11.0). After 6 months from randomization, adjusted means for health-related quality of life were higher in the CM group (FACT-B score 107.9; 95 % CI 104.1-111.7) compared to the usual care group (102.2; 98.5-105.9) with an adjusted FACT-B score difference between groups of 5.7 (2.6-8.7, p < 0.001). Thus, an additional individualized and complex complementary medicine intervention improved quality of life of breast cancer patients compared to usual care alone. Further studies evaluating specific effects of treatment components should follow to optimize the treatment of breast cancer patients. The key sentence in this abstract is, of course: complementary medicine intervention improved quality of life of breast cancer patients… It provides the explanation as to why these trials are so popular with alternative medicine researchers: they are not real research but they are quite simply promotion! The next step would be to put a few of those pseudo-scientific trials together and claim that there is solid proof that integrating alternative treatments into conventional health care produces better results. At that stage, few people will bother asking whether this is really due to the treatments in questioning or to the additional attention, pampering etc. My question is ARE SUCH TRIALS ETHICAL? Reiki healers believe they are able to channel ‘healing energy’ into patients’ body and thus enable them to get healthy. If Reiki were not such a popular treatment, one could brush such claims aside and think “let the lunatic fringe believe what they want”. But as Reiki so effectively undermines consumers’ sense of reality and rationality, I feel a responsibility to inform the public what Reiki truly amounts to. First, data were collected from patients receiving usual care. Second, patients were randomized to either receive Reiki or a companionship during chemotherapy. Questionnaires assessing quality of life, mood, symptom distress, and Reiki acceptability were completed at baseline and chemotherapy sessions 1, 2, and 4. The results show that Reiki was rated relaxing with no side effects. Reiki and companionship groups both reported improvements in quality of life and mood that were greater than those seen in the usual care group. The authors concluded that interventions during chemotherapy, such as Reiki or companionship, are feasible, acceptable, and may reduce side effects. Yet another example of utterly bizarre conclusions from a fairly straight forward study and quite clear results. What they really demonstrate is the fact that Reiki is nothing more than a placebo; its perceived benefit relies entirely on non-specific effects. This view is also supported by our systematic review (its 1st author is a Reiki healer! ): the evidence is insufficient to suggest that reiki is an effective treatment for any condition. Therefore the value of reiki remains unproven. In other words, we do not need a trained Reiki master, nor the illusion of some mysterious ‘healing energy’. Simple companionship without woo or make-believe has exactly the same effect without undermining rationality. 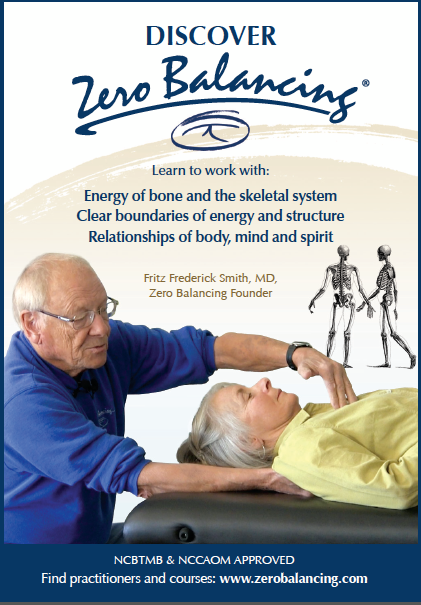 Or, to put it much more bluntly: REIKI IS NONSENSE ON STILTS.